By Agus in Toolkit. Updated on June 19, 2017 . Since its launch in 2013, Slack has grown to become a top team communication tool. Its availability across multiple major platforms makes it a great tool to generate conversations, collaborations and discussions. It also allows for third party integration and services to help make life a lot easier. For instance, you can automatically post any new task you’ve added in Asana, to a channel of your choice. There are many other tools like this that help improve the usability and functionality of Slack. In this post, we are listing 10 tools that you might like to use together with Slack. Slack News allows you retrieve news quickly from multiple sources without leaving your Slack windows. Just type /news [source] on any channel and you will served with the latest newsbits right there. To set it up, you need to install Slack News on your own server before tweaking the integration and preferences on Slack. Slack comes with 6 themes that you can find on Preference > Sidebar Themes. If you want more you can actually configure this yourself: just enter the eight hex code to patch the theme you use. If you want more, Slack Themes gives you color configuration of beautiful themes; there are about 70 themes available there. Some of themes appear to mimic the color themes of popular applications like Reddit and Youtube. Chit Chats is a place to discover an online community that is using Slack around the world. Then, just join in with the conversation. You can find topics you like, such as Web or UX designers, developers, Android fans, entrepreneurs, and many others. 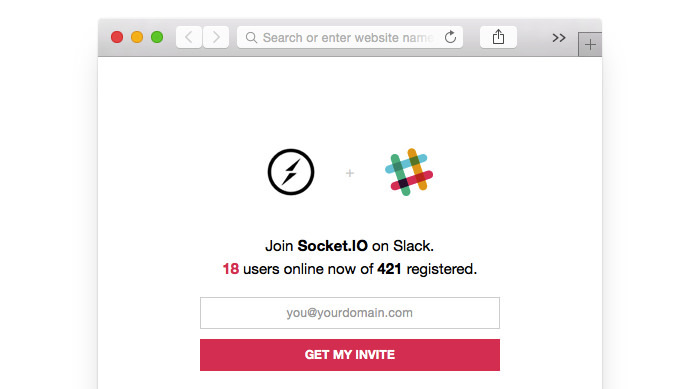 Franke makes your emails available on any Slack channel instantly. You can manually forward emails you receive or send and post them to the Slack channel. You can also do this automatically by including franke emails (yourteam@getfranke.com) on your team’s emails then configuring the domain or email address that you send to / receives from on the dashboard. Convergely enhances your team’s communication on Slack with useful features like Slater, which allows you to schedule your messages to the team. This tools also has an auto-responder system allowing you to leave a reply message if you are away. Also you can assign a task to the team member in the middle of a discussion or conversation. Slack Overflow essentially lets you search for help in StackOverflow without leaving Slack. Just type /overflow and your search keyword, and the result will be displayed immediately in your channel, visible to you only. To make it work you need to configure integration in your Slack team. Send to Slack is a Sketch plugin that allows you send your artwork from Sketch directly to the Slack channel, group or user. After installation and setting up of the Slack API just go to Sketch > Plugins > Send to Slack and choose the channel/group you want to share to. If you are fans of Google Drive for document storage, now you can get Slack notification on every change made on your documents on Google Drive. This tools will notify you if there is a new document created, if someone shares a document to you, modifies or deletes it. If you are a Linux user, there is no official Slack application for Linux yet. To use, you can use Chrome to make an application shortcut. Unfortunately it only runs on Chrome. Alternatively you can use Slack for Linux, an unofficial Slack client for Linux that runs on NPM. This works for most Linux distros such as Ubuntu, Fedora, Mint, and more. Slackin helps you build public communities through Slack. It give you an <iframe> badge with a real time number of registered and online users, which you can put on a web page. If the user clicks on the badge, a form asking for an email address to be sent an invitation to join will be shown. Alternatively, there are landing page versions. Plus, the badge is also available in SVG version, for static mediums such as GitHub Pages. Here are two more tools that may not really help with productivity – but you might still want to check them out. Limbo is a simple and customizable Slack bot. It has many plugins to do special tasks, such as a Gif plugin that will serve you a random gif based on your search query. To use simple type !gif [search query]. The Calc plugin helps you do math or change units. Slacker puts a little fun in Slack, letting you reply the conversation with a funny character. There are 20 characters available but you can create your own too. Before using, it requires you to enteryour organisation name and Slack API token.